Normally broadening of mind, satisfaction of souls and creative thinking are considered as the main reasons of studying the art of graphic designing but they may not be sufficient to support this idea if it is related to your career and fulfilling your financial needs. Normally a degree in art and designing is considered as one the worst degrees but still many people study graphic designing due to various reasons. Some of such reasons are discussed in brief in this write up to support you in this field. With the increase in the use of various mobile devices including laptops, tablets and smartphones for online marketing most of the website developers have started using graphic designs to explain the things more precisely and clearly in their web designs compatible to these devices. People studying graphic design are greatly in demand these days due to increasing popularity of online marketing and digital illustrations in the web designs. Graphic designers are much in demand as app designers, web designers, online publishers, software designers, game designers and animation artists etc need their services at large. 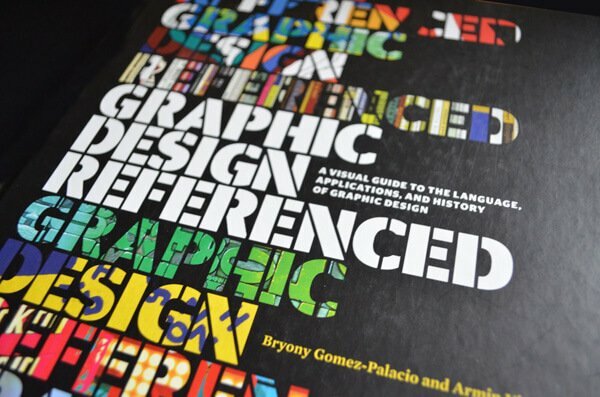 By studying graphic designs you are not only studying a line of art but also a line of creativity which can provide you recognition even during your studies. It all depends upon your passion and skills which you can use in creating quality designs which make you popular even if you have not completed your course. You can make a successful career in your adolescent if you are skilled in creative art of graphic designs. Usually people develop their career after many efforts according to their skills as some are good at writing skills whereas other may be good at mathematics but if you are good at graphic designing then you can easily make a successful career. Due to increasing popularity of ecommerce and use of digital devices graphic designers have vast scope of developing their career successfully. It has been observed many times that people with creative mentality also perform better in other subjects among their mates. Students good at their designing art are normally found good at various community services as they are usually kind at heart and serve people selflessly. People studying graphic designing have better opportunity to improve their grade by getting good marks in other subjects. Their strong ethics for work and intellectual strictness indicate their skills and commitment to complete their work with full potential. If you are good at your creative designing then instead of choosing other subject you should master it for a successful career. If you are studying graphic designing and good at creative designing then to establish yourself in this career field you should not afraid of your exams as you can prove your skills by creating exclusive designs for any web designer or any other digital designer. Exams are the way to get a degree document only as your actual potentials can not be judged in the limited time span of two-three hours. While studying graphic design you will have to undergo large work loads as you will have to tackle time bound projects to improve your skills. This heavy work load helps you in developing your working skills to help you in surviving in this field for long time with little efforts. They improve your organizational as well as management skills along with your creative skills. If you have studied graphic designing then you need not search for a proper job as most of the graduates in other courses do. You have skills in your mind and hands which you can use to create graphic designs that can be used by web designers and the professionals working in other digital designing fields like game designing and app designing etc. If you have passed your graphic design degree with good grade then you need not work under some other web professional. You can be your own boss by opening your own web designing company and make exclusive websites by using your graphic designs and other creative skills. There is much scope of earning good income in the field of web designing for the people who are skilled in making good graphic designs. The increasing popularity of online marketing through smart digital devices like laptops, tablets and smartphones qualified graphic designers are much in demand these days. After studying graphic design successfully from a reputed institution you can also help others to learn this skill, who are financially weak and want to make their career in this field. In this way you will be able to serve your society you live in. you will be able to improve job opportunities for some jobless people in your society. If you are a qualified graphic designer then you can improve your skills also by going through the latest technologies introduced in this field with the passage of time. You can educate yourself by reading the literature available and attending the workshops in this regard, if you have systematic knowledge of the basics of this field. If you have completed your graphic designing course then you do not need any guarantee about your income as your skills in this field are themselves its guarantee. You can use your creative mind and the skills you have learnt during your studies to make your career successful in this field. Most of the people involved in designing art whether it is a general art or graphic design are happier than other people involved in other trades as they are involved in the field of their interest whereas others are into their business only to earn money. Thus, these are some of the reasons for which one should study graphic design as it can satisfy their financial as well as intellectual needs.